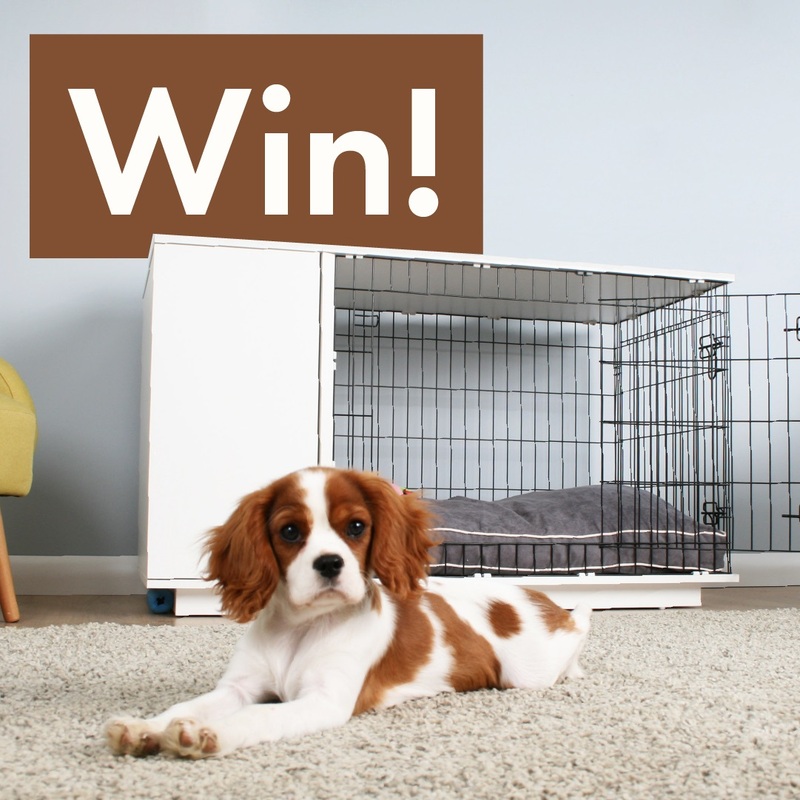 Win 1 of 3 Fido Studio Dog Crates including Wardrobe and Bed! This Father’s Day we are giving away 3 Fido Studio Dog Crates with Wardrobe and Bed! Simply click on the button below and submit your name and email address. The competition closes at midnight on Wednesday 20th June. The lucky winners will be randomly select and notified on Thursday Monday 21st June. The competition closes at 23.59 20th June 2018. To enter please complete this competition entry page. There are 3 x Fido Studio Dog Crates to giveaway. The prize includes a Fido Studio plus wardrobe and bed. Winner’s can pick the Fido Studio in white or walnut and size 24″ or 36″. The winners will be randomly selected and notified on Thursday 21st June 2018. Omlet reserve the right to withdraw the competition at any point. Prizes cannot be transferred to cash. This competition is only open to UK residents.This competition is not open to Omlet employees or members of their immediate families. Likewise, it is not open to the Employees of Omlet Partners who may be involved in promoting this competition. Omlet may cancel or amend any competition, competition information, or these terms and conditions without prior notice. Any changes will be posted either within the competition information or these terms and conditions. All entries must be made using the form on the relevant competition page. No responsibility can be accepted for entries that are lost or delayed, or which are not received for any reason. The winner or winners will be chosen at random from all those entrants who have provided the correct answer or prize-winners will be selected and notified in the manner set out in the competition terms. No prize will be awarded where any entrant has committed any form of misconduct (as determined by Omlet Inc in its sole discretion). Only one entry per household. If you win, we will notify you via the email address you provide when entering the competition. If we do not get a response to the email within one week, the prize will be offered to a runner-up. The prize is not exchangeable for cash or any other prize. By entering the competition you are agreeing to become a subscriber to the Omlet newsletter, if however you wish to not receive newsletter and updates from Omlet you can unsubscribe once you receive initial correspondence from Omlet Inc. Any personal information relating to entrants will be used solely by us in accordance with applicable data protection legislation. Anyone attempting to artificially influence or manipulate the outcome of the competition will be excluded from this and all future Omlet competitions. All prize-winners unconditionally agree (as a condition of accepting any prize) to: the use of their name, one or more photographs of themselves with their prize; and co-operate with or participate in any other reasonable post-competition publicity.